There are many types of mushrooms that are incredibly good to eat and fun to hunt for on the island. 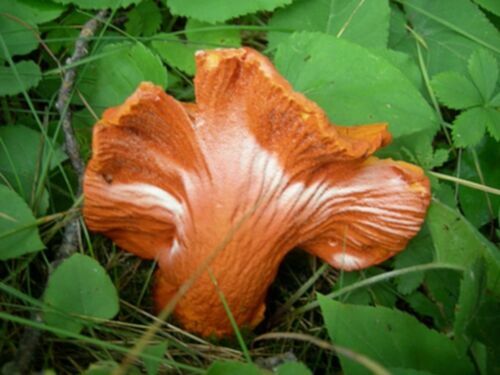 A few of the most common ones in the fall are Pine mushrooms, Chanterelles and Lobster Mushrooms. Although a local is not likely to give up his/her treasured mushroom picking spot, you can ask around about the areas that they grow in. Make sure you have a compass with you as wondering in the forest can be a beautiful experience but it all changes if you lose your sense of direction to get back out. Also, ensure that you have a good mushroom book to identify the mushrooms and never consume them until you speak to an experienced mushroom picker to make sure you have the right ones. Although the ones pictured above are considered good for beginners to find and identify. For those less adventurous, you could also go to one of the fine restaurants in the area that serve wild mushrooms while they are in season and just savor the incredible flavors and leave the hunting of them to someone else.